This fellow prefers to light a candle rather than curse the darkness. It’s from the ever-interesting New Oxford Review. Larry A. Carstens teaches English in a public high school and a community college, and has attended Masses across the nation. He was born during the Second Vatican Council and therefore never knew the pre-Vatican II Church. If you find that the world hates you, know that it hated Me before you. I wrote the following as a response to the wide number of common abuses currently in vogue at many Catholic Masses, many of which have been mentioned frequently in recent issues of the NOR, both in articles and letters to the editor. It is written in the form of a pledge between the individual Catholic and God, and is intended to be kept as a reference. I prepare myself for the most important encounter of my life: a banquet with Our Lord. I try to get to Confession the day before Mass, and if I dont, I spend time meditating on my sins and begging Gods mercy. I honor the fast which, contrary to widespread belief, has never been eliminated from Church teaching. I do not eat for at least one hour before the Mass. If I have the strength, I honor God by fasting from midnight before. When I dress, I remember that I am going to meet Someone more important than any king, queen, or president. So I do not dress as if I am going to the beach or a picnic; if others do, I do not follow them. I wear clothes that reflect my belief that Mass is important and deserving of respect. If Im male, this might include a tie; if Im female, this might include a modest, tasteful dress. I try to leave early, so as to arrive early, and spend at least a few minutes before Mass praying before the Blessed Sacrament. When I enter the church, I bless myself with Holy Water, and before entering the pew, genuflect toward the Tabernacle. If I pass in front of the Tabernacle, I genuflect again, or at least bow, and say, Jesus, I love You and adore You, my Lord and my God or similar words of love and respect. Before I sit down in my pew, I kneel and pray to greet Our Lord in His bodily presence, as well as Our Lady, the angels, and the saints. If someone wants to talk with me, I respond briefly, if at all. If I am visiting another parish, and the priest wants visitors to stand so as to welcome them, I dont, for now the attention should be on God, not me. I try to keep my focus on God. If I find the music loud, unpleasant, or distracting, I offer it up as a sacrifice to Our Lord. I say the prayers. I listen to the readings. I listen to the homily if it is not edifying, I pray for the homilist. I bow during the Creed at the words, By the power of the Holy Spirit, He was born of the Virgin Mary and became Man. Even if the priest tells the congregation to stand during the Eucharistic Prayer, I refuse. I kneel before God, as He becomes physically (though invisibly) present, in obedience to the Magisterium and the bishops, which supersedes obedience to a priest who rebels against Church teaching. At the elevation of the Host, I bow even if no one else does to honor the moment of Transubstantiation. I politely refuse to join hands during the Our Father, even if the priest invites people to join hands. I am addressing my prayer to God, and my attention is on Him alone, not on those around me. I greet those near me with warmth and enthusiasm during the Sign of Peace, which is the only appropriate time for neighborly gestures. I strike my breast during the Lamb of God prayer, at the words have mercy on us, because I recognize my unworthiness before Christ, and am in dire need of His mercy. Once again, it does not matter if no one else does so. The moment before I receive Communion, I bow in respect before Our Lord, a practice which all Catholics were instructed to perform (when the custom of kneeling was changed to standing), but almost none actually carries out. After the final blessing, I remain until the conclusion of the Recessional Hymn, whether or not it is to my taste, remembering that it, too, is meant to be a prayer. I invite my family to join me in praying after Mass, both to give thanks to God, and in reparation for those who disrespect His Supper by leaving before the Mass is finished. Unless I have an urgent matter to attend to (the Super Bowl does not qualify), I say the prayer to St. Michael, which used to be said after all Masses by both priests and people: St. Michael the archangel, defend us in battle. Be our protection against the wickedness and the snares of the Devil. May God rebuke him we humbly pray, and do thou O Prince of the Heavenly Host, by the Divine power of God, cast into Hell Satan and all the evil spirits who prowl throughout the world seeking the ruin of souls. If I see friends, I may wave or smile to acknowledge their presence, but I make it clear that I do not wish to enter into extended conversation within the church building; if others are doing so, I do not follow their example. If, outside of church, anyone should say I am pre-Vatican II, I respond that Our Lord, the Bible, and the vast majority of saints and martyrs are all pre-Vatican II. If anyone should say I am stuck in the 1950s, I might respond as charitably as I possibly can that at least I am not stuck in the 1960s. Loyola Jesuit College is part of the worldwide family of schools run by the Society of Jesus. With them, it shares a common vision and philosophy derived from the writings of the founder of the Jesuits, St. Ignatius of Loyola. . . . . The Mission Statement and other contents of this website which flow from it are our attempt to be both authentically Jesuit and relevant to the Nigerian society that we serve. [Italics added] Loyola Jesuit College is a coeducational secondary school in the classical tradition. . . . I will not lie, cheat or steal;I will respect my own physical and spiritual integrity as well as that of each person in the College, and that of the College itself. Somehow this seems adapted also to the American society which Jesuits serve. Who’s this talking, president of your local pro-life league? I see abortion as murder I am asking you: whats the difference between killing a baby inside a mothers womb and killing a baby after birth? Nope, the “pronatalist” prime minister of Turkey. You only want a buddy, not God? This guy, Larry D. Harwood, is so good here, it’s hard to pick one quote over another. Let this stand for the whole. He is an evangelical Protestant who taught philosophy at Franciscan-related Viterbo U., in LaCrosse, Wisconsin when he wrote this in 2002(and still does teach there). He is speaking of “praise worship” in Protestant churches, having noted that some Catholic parishes were trying to imitate it. Man’s relation to God is a communion between persons — but unequal persons. In the worship form I am describing, however, worship is often so spongy, so egalitarian as to be rendered gaudy, and the worshipers are giddy and all too self-confident. It’s just the opposite of Rudolph [sic] Otto’s description of man quivering in the presence of a tremendous God of mystery. In the form of praise worship, man too often quivers with delight and too seldom with fear. Italian conundrum: Catholic = fascist? Catholics and fascists are both keen on intervention by totalitarian higher bodies such as the state in both life and work, and they are hostile to individual freedom and the free market. I have in mind [when discussing “backward thinking”] the American church’s ambivalence toward governmental interference in people’s lives. In 1919, for instance, Monsignor John A. Ryan issued the Bishops’ Program of Social Reconstruction, a virtual blueprint for the New Deal. For 20 years [Ryan] reigned supreme as the bishops’ spokesman on social and political matters, even endorsing Franklin D. Roosevelt in 1936 for his second term. In the years since then, leading up to the bishops’ acquiescence in the passage of Obama care, official Catholic statements have consistently favored liberal positions in regard to governmental interference. More recently, of course, they have objected to the HHS requirement that Catholic schools and hospitals offer birth control, but it took such an obvious interference in church activity to get them to do so. The church has not been a champion of political freedom (I tentatively reiterate), being overly concerned about the mistakes and bad things people can commit and insufficiently confident or at least trustful when it comes to use by them of God-given (by whom else, pray tell?) free will, not to mention reliance on divine grace, mercy, and all that. Is this where libertarianism meets Divine Providence? Just asking. 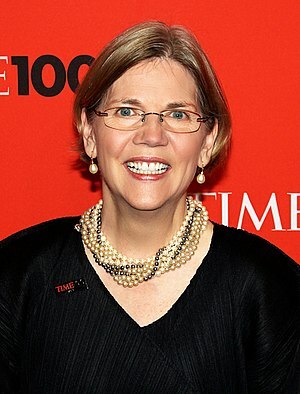 Liz Warren gaining in Mass.! Voters in the commonwealth care not if she fibbed about Indian-ness to game affirmative action to become a Harvard prof.
. . . this is a by-product of living in a liberal state. Most folks here in the Bay State not only favor affirmative action but see nothing wrong with Warren’s claims even if they are dubious. In which case, Scott Brown could be in a lot of trouble. If voters in Connecticut didn’t care about Richard Blumenthal misrepresenting his military service, is it really a stretch to imagine that Massachusetts voters won’t care if Elizabeth Warren lied about being Native American to advance her career? President Barack Obama and Massachusetts Democratic Senate candidate Elizabeth Warren have more in common than just their liberal political ideology, Harvard Law pedigree, and Democratic Party affiliation. Both claim Cherokee ancestry, and neither can prove it.